I love how this bird is flying directly towards the camera, and is just about to grab the branch! 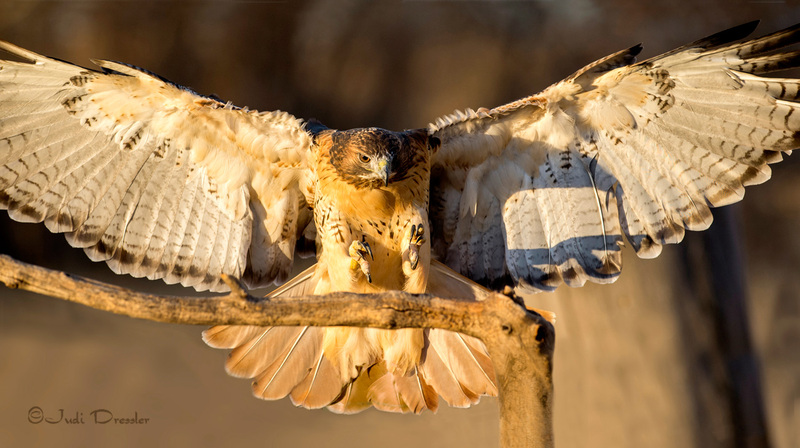 This red-tailed hawk shot was taken during a workshop on flying raptors in 2016. She’s a captive bird, usually used for educational outreach.